...which is why you should join too! Now would be a great time since the next phase is starting veeery soon!!!! ^That's where you go. Click it. Just click. You'll love it. 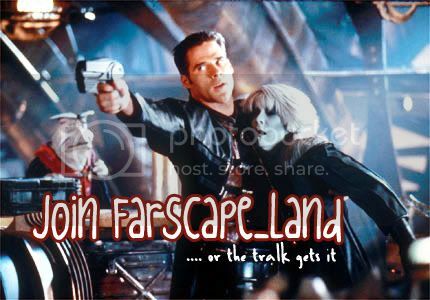 The challenges are awesome, the people even more so ^^ ^^ ^^ You don't even have to do every challenge, just do what interests you the most and trust me, many of them WILL interest you :D There's something for everyone; games, puzzles, writing, graphics, group challenges... anything you can think of related to Farscape! !